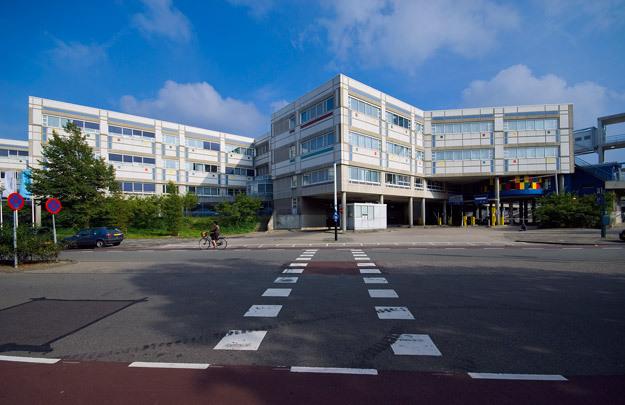 Part of Dijkzigt hospital complex, this building replaces pre-war premises elsewhere in Rotterdam. With its maximum of six storeys, sensitive use of the site and well-groomed end, it was OD 205's means of making up for the ill-considered siting of their Medical Faculty. The children's hospital has facilities for 150 patients housed in pavilions alongside Museum Park. Both the plan and the facade of tiled panels and aluminium framed glass adhere to a strict system.